A Bration catalog. I sponged it with Tangelo Twist and Bermuda Bay. Love how you can make this paper look so different by adding a little color. I didn't add a lot of bling to the card because my goal was to keep them as flat as I could for easy mailing. Thanks for stopping by! Hello, welcome to my blog. My card today is based on a card I saw from Debbie Mageed. I just loved her card and had to make one. I used Island Indigo, Calypso Coral, Very Vanilla and Soft Sky for my color scheme. 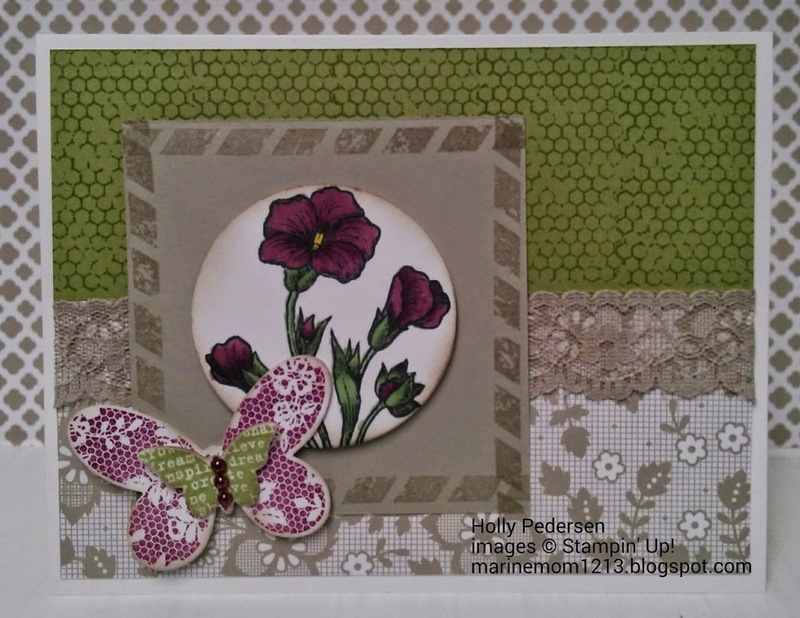 I love the Butterfly Basics stamp set found in the new 2015 Occasions catalog. 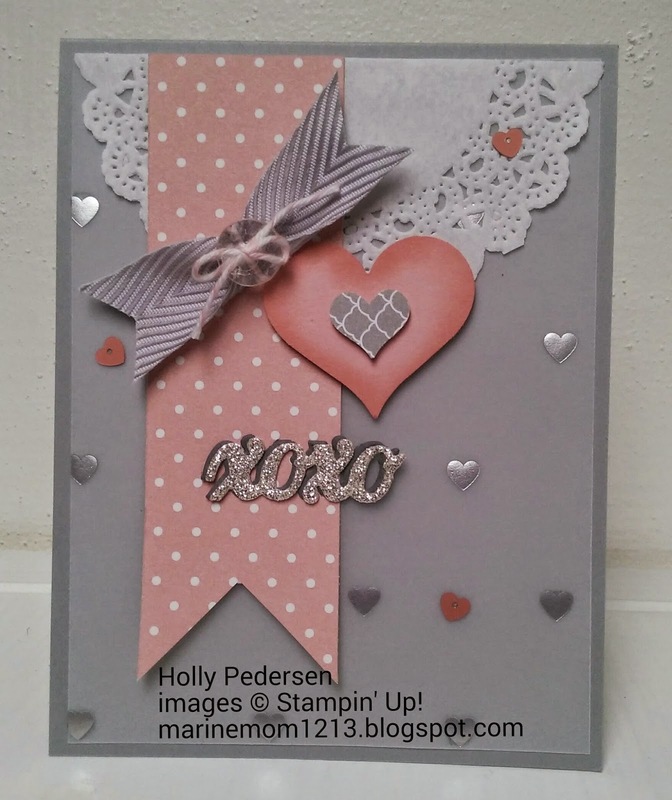 I embossed the Very Vanilla with the hexagon embossing folder to match the background stamp from this set. The flower image is great to color with our blendabilities markers. 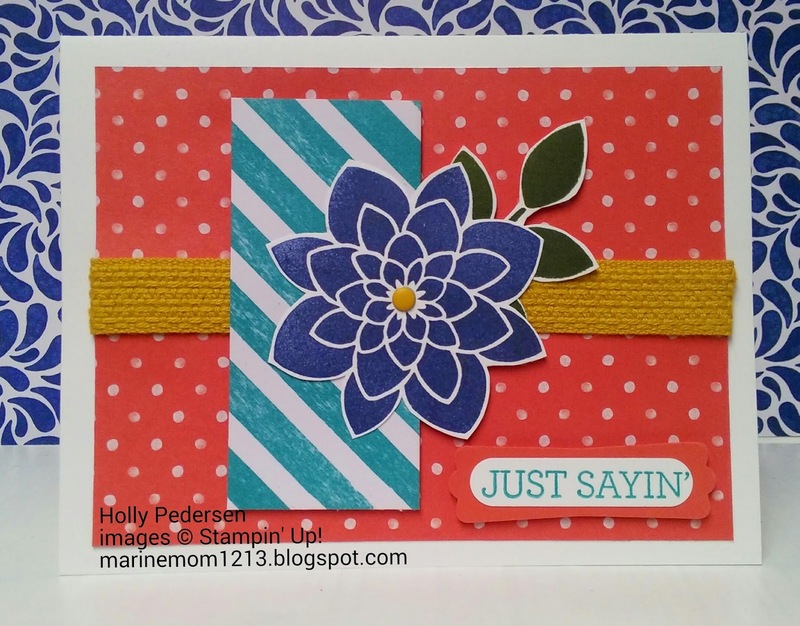 I used the Calypso Coral and Wild Wasabi markers to color the flower. I used the oval framelits #5 (counting from the left) to cut my image and then sponged it with Soft Sky. I used the 4th oval to cut my background oval in Calypso Coral. 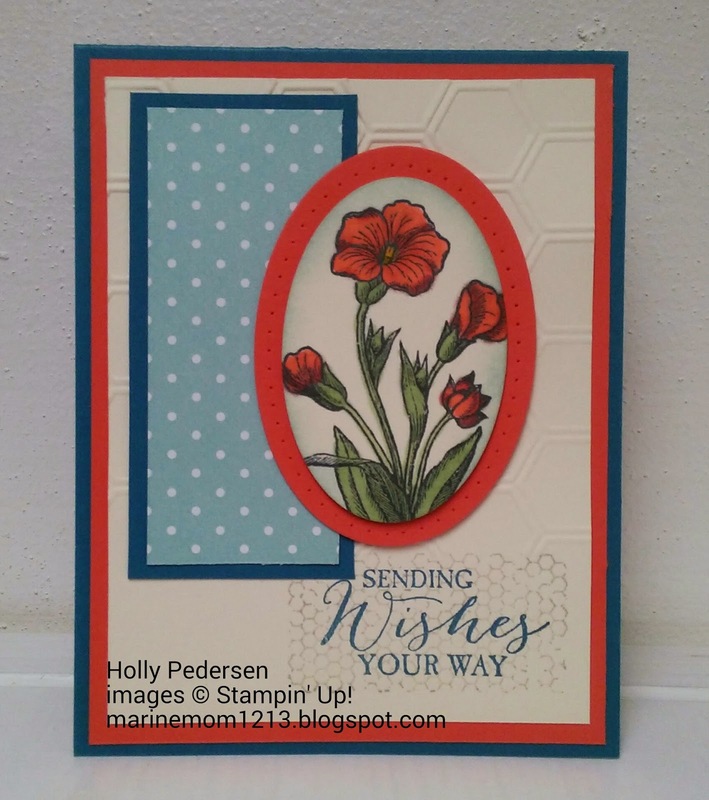 The stamped image is mounted with dimensionals and then I used the oval paper piercing templates on the Calypso Coral. That does it for today's post, thanks for stopping by. Hello, welcome back to my blog. It's been awhile since I posted and will try in 2015 to post more frequently. I did some Christmas pages similar to this a couple of years ago and liked the layout so I thought I would use the new Valentine products in the 2015 Occasions catalog. 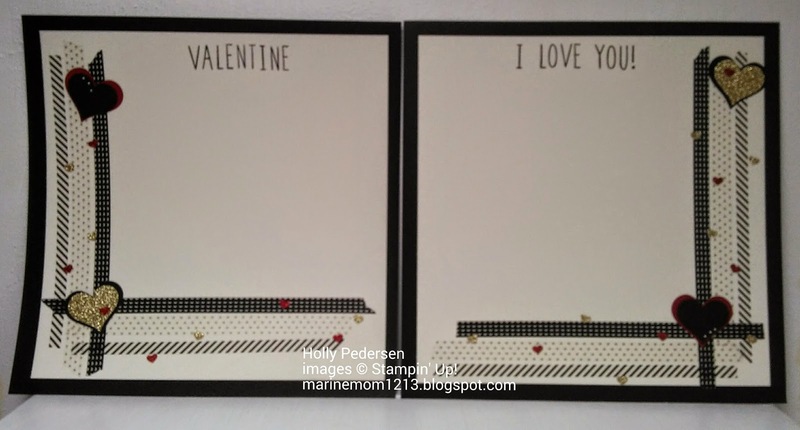 I used my stampin trimmer to cut most of my black card stock out of the middle, leaving a 1" border all around my vanilla pages. I then glued my vanilla onto the black and started adding some washi tape. I used both the sweetheart punch and the thinlit heart that is with the treat bag thinlit. I also used the heart border punch for my tiny hearts. I used the Skinny Mini alphabet set to stamp my title. Some red and gold glimmer paper with some pearl accents finish off the pages.